Simply making more of DIY resurrection eggs. Look for really heavy things around the house – couch, table, tree… try to move these. Use different strategies. Now use the largest family member to guard these whilst the smallest family member tries to get to them and move them. There were people worried that Jesus’ disciples would try to steal his dead body so they placed not just an enormous rock that would be impossible to move, but they also placed 2 very big scary guards outside the tomb/cave entrance as well. But! When Jesus rose from the dead there was nothing that could stop him – not a huge rock, not 2 big scary guards. It is just the same for us – sometimes we can think that God is far away or what we have done is too terrible to be forgiven or to tell someone. But nothing can get in the way of God’s love for us – no terrible sin, no scary thoughts, no faraway place. Jesus defeated death – there is nothing too big for him to deal with. Today you could also do the Easter Meringues recipe in preparation for tomorrow. If you would like to do something extra. (You will need a hollow chocolate egg or blown usual egg for tomorrow). Thank you for your power Jesus, power that raised you from the dead, power that defeated death, power that sets me free from sin. Help me to believe and call on you when I need your help. May we all come with fresh eyes to the story we know so well, may we let the truths soak deep down and take root, and may these truths breathe life into our daily comings and goings. Make a simple cross using strips of paper or harakeke (flax) or bendable card. There are some good instructions for a simple one here. Talk about what the cross was and answer any questions that your children want to ask about the cross. A cross is made from wood and comes of course from a tree. The tree is a very important symbol or picture in the Bible. It stands for life as well as death. Sin entered the world when Adam and Eve decided to take something from a tree that wasn’t theirs. The power of sin ended when Jesus took something that wasn’t his, our sins, and put them back on a tree by dying on a cross. Adam and Eve chose to be disobedient and do something bad, Jesus chose to be obedient for us. Thank you Jesus that you took the blame and punishment for my sin even though it wasn’t yours. Help me to bring you all my problems because I know you care about everything. and may you know the joy of finding new and open spaces where old habits and fears once lived. In order to make room in our loves for new things – new challenges, new life, new creativity – we must find the courage to let go of the walls and ways of being that hold us captive in living our old life. May we all walk bravely toward the One who calls us to be new creations. May we find new growth where once we saw barrenness. If I had a list of the people I’d like to be Adrian Plass would be one of them. So, I know he’s a guy, that’s quite a bit older than me, and has a beard!, but stick with me here. The thing I love about Adrian Plass is that he manages to treat himself with such humility, the church with reverence, irreverence and total hilarity all in one sentence, but in all he writes there are these bold and gentle echoes of grace. That is a skill I so admire. 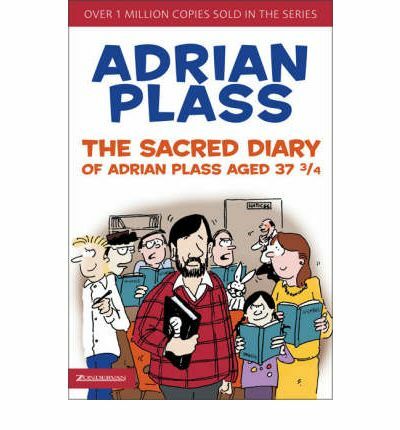 His book ‘The Sacred Diary of Adrian Plass aged 37 and 3/4’ (which is my current age, weird!) is the first book I ever read that made me really laugh out loud. So much laughing that I actually couldn’t recount it to others without laugh-crying. It’s the book I buy every time I find it in an op-shop just so I can ‘lend’ it to people without having to worry I might not get it back. Went to Unity Hall tonight to hear ‘Bad News for the Devil’ practising. [His son’s ‘band]. When I got there, stood outside for a moment listening to a noise that sounded like a piano falling down a lift-shaft with someone trapped under the lid. Turned out to be a number called ‘Peace Will Come’. Anyone else have ‘youth band’ flashbacks??. If your heart is weary for a good, deep belly laugh then I can so recommend this book or any of his sacred diary series. Today maybe you need a reminder that laughter is also a gift from God. That laughter is good for you. That bubbling up and over laughter might just be a kiss from heaven to you today. 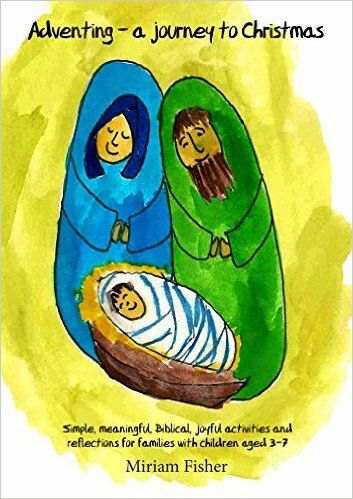 If your heart is heavy or if it all just feels too much to carry today I’d love to lend you my copy of this wonderful book – not that I can clearly – but if you need a laugh and some good doses of gentle grace get your hands on a copy. *on the subject of wanting to be compared to a man…. I’ve spent my whole life being told by anyone who met my dad that I ‘look exactly like him’. Literally, he will walk into a place I work, where no one has met him, and someone will say, ‘Hey Miriam your Dad is here. You two look exactly the same’. What’s a girl to do with that??? Which is not exactly a compliment no matter how attractive my gay drama teacher told me he was. Perhaps, unsurprisingly, looking exactly like a man 20+ years older than me whose been rocking a beard since way before the hipsters made them cool again isn’t exactly the look I’m going for… I digress. Sometimes it can be difficult living in the centre of what appears to be a contradiction or at least a very tight tension. But I feel like as Christians we cannot avoid that tension. We have to make peace with it – in more than one way. Today I’m ruminating about what it is to feel fully satisfied and filled with longing at the same time. Because there is a rumbling discontent within in me – the discontent of not being there yet, of observing the depths of my brokenness and feeling overcome by the broken falleness of the world and its inhabitants. I long for more – to reach further, jump higher (metaphorically speaking obviously! ), go deeper, be more. I live with this dissatisfaction like a scratchy jumper that feels too tight at the collar and too short in the arms. Ever present. But deeper than that I am satisfied, so satisfied. 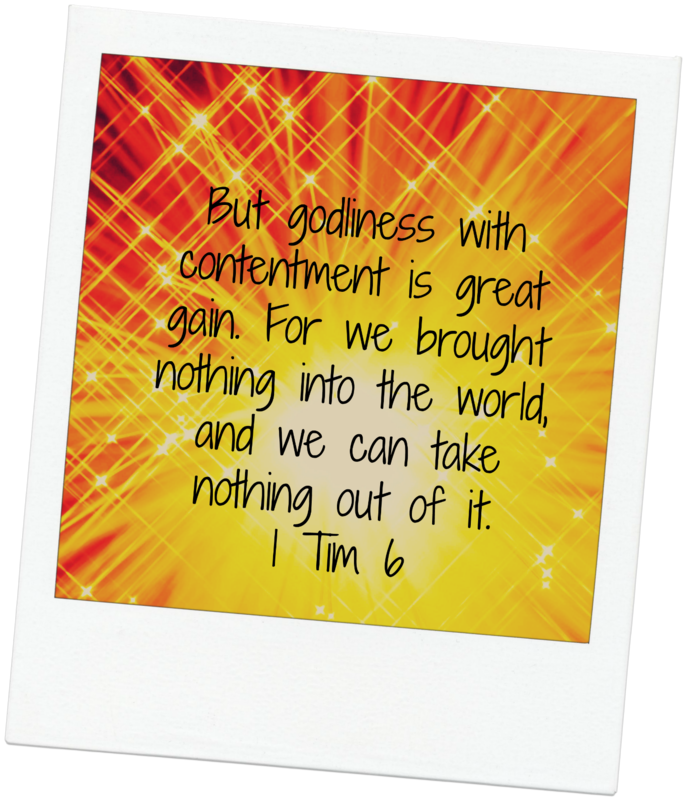 There is a vein of contentment that runs like gold deep through the bedrock of my life. That vein that holds peace when the jumper itches. Because the One is enough and in Him I am enough. What I have or do not have, in the midst of the storm, as I pass through the fire. 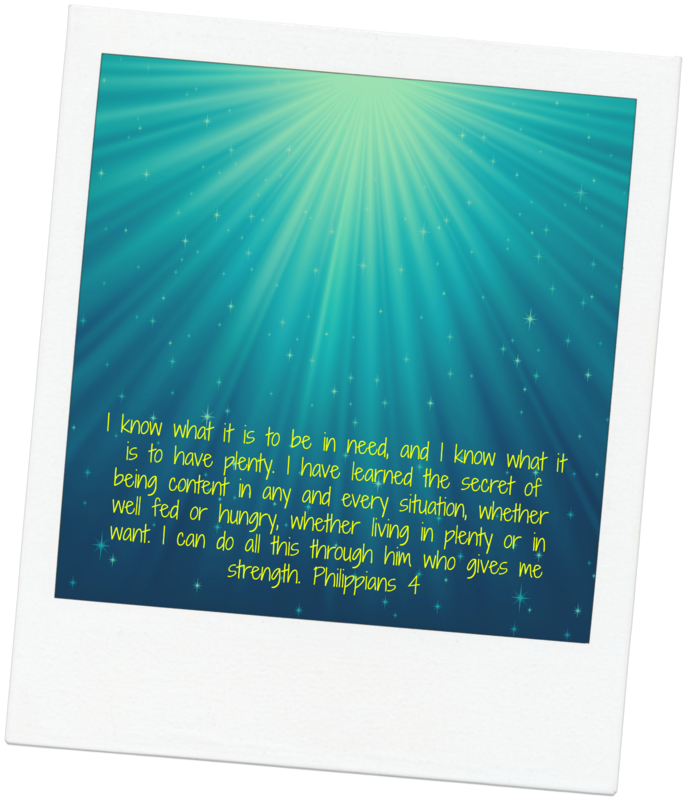 All of it is surface, because at the deepest level I am found in Him. Even typing the words I understand how they don’t make sense that I can be so filled with longing while at the same time deeply contented – but that is the centre of the tension that holds me. We use this term in churches sometimes about the ‘now but not yet‘ kingdom. Like a black sheet stretched out in front of a powerful light. There are pinpricks and sometimes even tears in the sheet that let in the light. We know the light is there, we know there is more to it than we experience now, we have these glimpses and experiences of that light that change everything, and we know that one day we will experience all of it. Now we see in a mirror dimly but then we shall know fully, even as we are fully known. It’s okay to live with tension. It’s okay to wonder and question and not understand and grasp but then lose we are no worse than those who have gone before and when all else fails I fall to the profound but confusing words of the father who says to Jesus – I do believe, help me with my unbelief. The blare of sirens broke the lunchtime crowds and noise of the city streets as two engines flew full force to a building whose alarm echoed back a similar refrain. I thought of those firefighters inside the vehicle, uniforms on, skills honed, attention sharpened, ready. Standing on the ground of a country and state prone to devastating, unforgiving, literally all-consuming fires, these firefighters are truly courageous. It seems the fantasy of the firefighter as a child is more about the truck, the power, the idea of being a hero but it contrasts with the reality. The firefighter is a self-sacrificer. In a culture that feeds self-addiction and preaches a me-first mentality the firefighter offers us a picture we don’t often see. The idea of entering a building with the express purpose of saving a life at the risk of your own. How often do we wish ill on a person who cuts us off in traffic? How often to we blame and shame and mutter judgements about strangers under our breath? In the firefighter we see a person going into an inferno for the sake of a stranger. They do not stop to question if that person is a good person, if they’ve paid their taxes, sponsored children in third world countries, whether they are kind to their spouse, what their driving record is like… they enter an intensely uncomfortable situation in order to save. Then they stay around to ensure no-one else is damaged in the aftermath. They contain the destruction and devastation. They redeem what can be redeemed. So often our concept of God is the law enforcer – the one who is watching to see if we get it wrong, the one who is ready to judge us – fine us, berate us, imprison us. We’ve got so obsessed with the idea of being indignant about, condemned by, and defensive of judgement that we’ve missed the point. 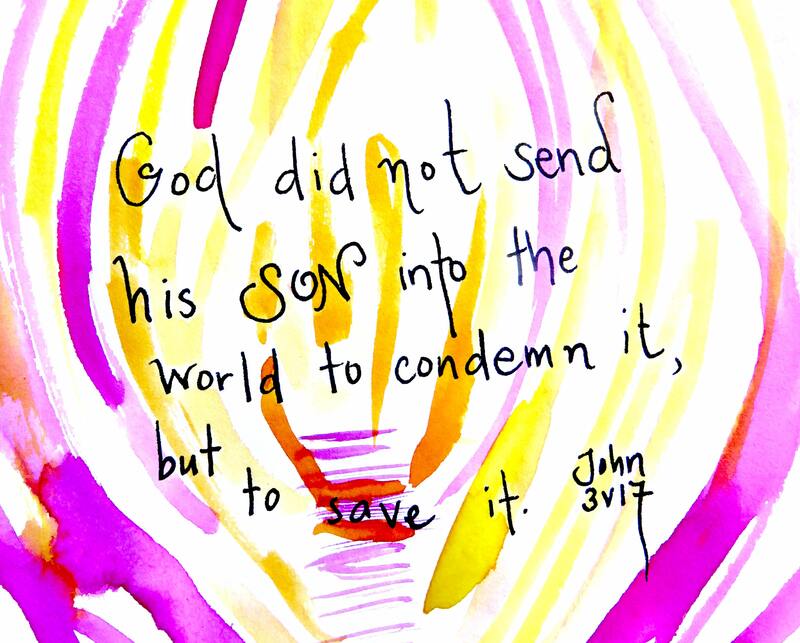 Jesus says – I didn’t come to judge the world but to save it. Jesus enters an intensely uncomfortable situation in order to save us. we have made God the law enforcer hiding in the shadows of the street ready to jump out and write us a ticket like he has some cosmic ‘ticket target’ to reach. In Jesus we see a firefighter. One who entered the inferno, whose flesh was seared, whose body still carries the scars of self-sacrifice. We see the One who raced into the building to rescue us when we were helpless to rescue ourselves. Like a child who played with matches in an oily garage we are consumed by a blaze of our own making that will destroy us…. yet, at extreme cost to himself, Jesus entered. He retrieved us, by his own selfless love. The law enforcer or the firefighter? Jesus holds out the scars of redemption to Thomas and invites him to touch. 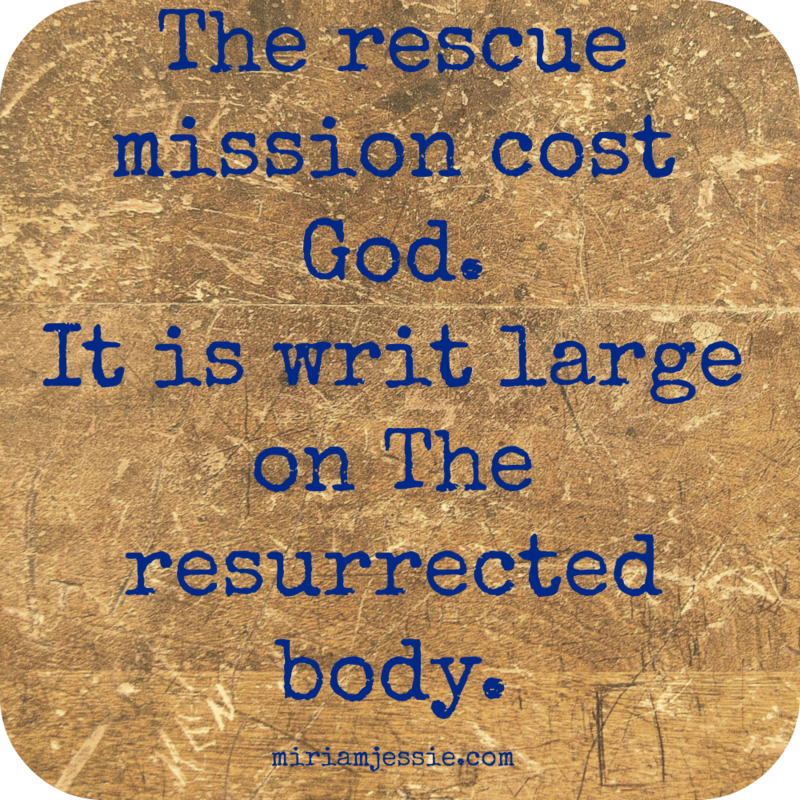 The rescue mission cost God. It is writ large on The resurrected body. As Timothy Keller puts it, Jesus lost his friendship with the Father in order for us to have that friendship. The heart of the trinity torn to invite us in. So next time you feel condemned and your heart sings that awful childhood Sunday school song ‘be careful little eyes what you see’, (Which always felt like some kind of passive aggressive warning to me, be good or you’ll get fried – it probably wasn’t meant that way, but such is the interpretation of this child!) 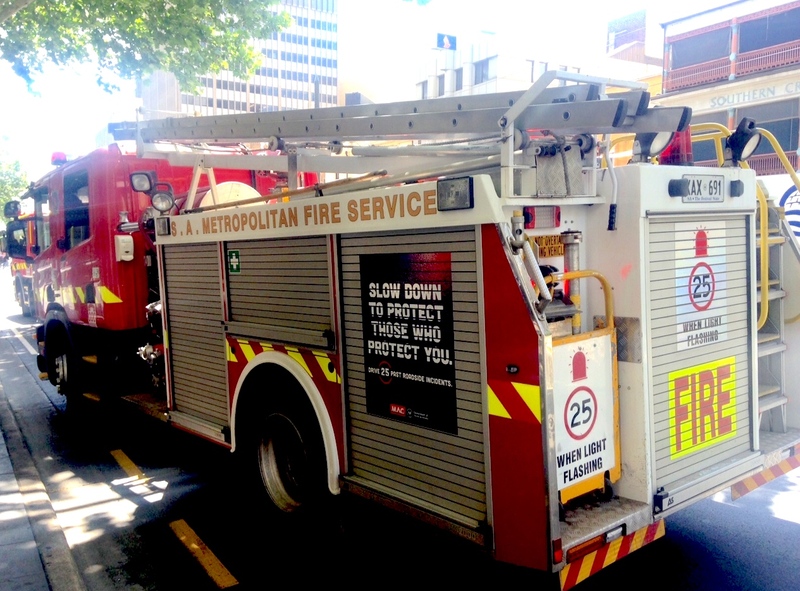 stop and change your metaphor from law-enforcer to firefighter. And when your heart no longer carries the awe and wonder of the cost of your redemption stop again to survey the scars that tell the picture of something that cost everything and more. We are rescued by love, Love which became fully torn apart in order for us to be fully restored and included. We are bought at a price. It’s tempting to always be talking about God using the masculine pronoun, it’s not always helpful for us to stick too long in one semantic pattern when it’s not actually an accurate reflection of the character and nature of the One we speak of. Our language and understanding is limited. It’s the same with metaphor. Ultimately metaphor should help us to grasp an aspect, it should add nuance and layers to reveal more and different characteristics. No metaphor is a complete description or a total depiction but they are helpful for us as we seek to extend our understanding. Our limits do not lessen the Love that is lavished on us, that we should be called the friends of God. Today may you know what it is to be loved – wide, deep, high, limitless – because you are, because I am, because we are.